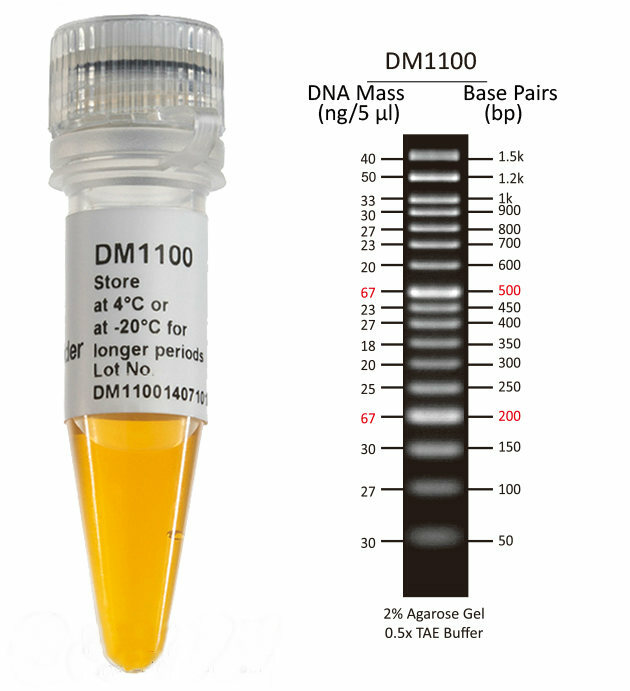 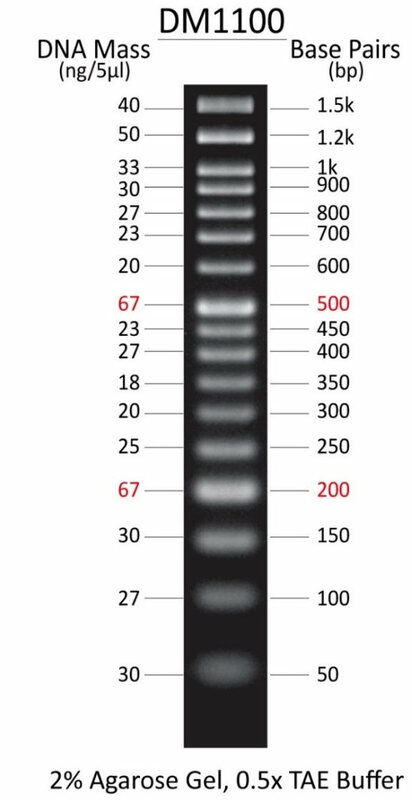 The SMOBIO DM1100 ExcelBand 50 bp DNA Ladder is a ready-to-use DNA ladder, which is pre-mixed with loading dye for direct loading on gel. 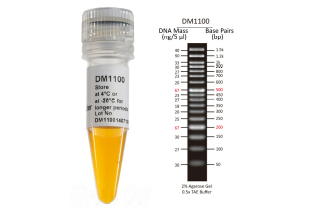 The SMOBIO DM1100 DNA marker is composed of 17 individual DNA fragments: 1.5k, 1.2k, 1k, 900, 800, 700, 600, 500, 450, 400, 350, 300, 250, 200, 150, 100, and 50 bp derived from a mixture of PCR products and specifically digested plasmid DNA. 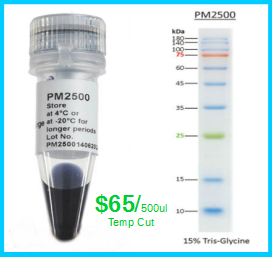 This product contains two enhanced bands (500 bp and 200 bp) for easy referencing. 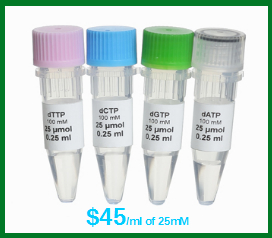 In addition, the low range Orange G tracking dye mimics the migration of a 50 bp dsDNA during electrophoresis is also added for real time monitoring. 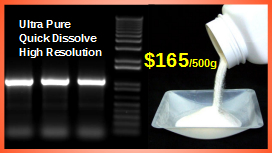 Great for detecting small DNA fragments on agarose gel, applications such as mouse genotyping, bacteria, yeast colony screening, etc. 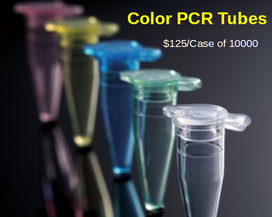 The shipping cost is $9.50 for each order placed, but will be automatically waived at checkout on orders of $200 and up. 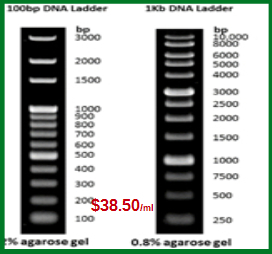 If your total order is less than $200, free shipping cost for extra or other DNA ladders ordered in the same order.